Q: According to reports, US President Donald Trump said on February 26 that the US is willing to talk with the DPRK under the right conditions after the DPRK expressed willingness for a talk with the US. What's your view on this? A: I already took questions concerning the talks between the US and the DPRK yesterday. Recently, there has been some amelioration on the Korean Peninsula. We hope that such amelioration could be sustained after the Winter Olympic Games and Paralympic Games. This conforms to the shared aspiration of the DPRK and the ROK, countries in this region and the international community, and will help to bring relevant parties back to the track of resolving the Korean Penisula nuclear issue through negotiation. As we said before, we hope that the the DPRK-ROK dialogue could be expanded to a direct one between the US and the DPRK. After all, the core of the Korean Peninsula issue is about security, and the US and the DPRK hold the key to that. We have been closely following the recent interactions between the US and the DPRK over possible talks. Such talks are not only what China hopes to see, but also the shared aspiration of the international community. We hope such talks can be held at an early date and the two sides will make joint effort to enable effective dialogues that produce beneficial results. Q: Pakistan has been at the forefront of the war against terrorism. How do you see the role of the international community in supporting Pakistan in its efforts to counter terrorism? A: As my colleagues and I have said many times, the Pakistani government and its people have contributed and sacrificed enormously for the fight against terrorism. Their hard efforts, both in terms of ground operations and in the field of combating terrorism financing, are there for all to see. Meanwhile, we've been calling on all relevant parties of the international community to view and evaluate Pakistan's counter-terrorism efforts in an objective and fair way, instead of just pointing fingers at Pakistan out of bias. As an all-weather strategic cooperative partner for Pakistan, China will continue to enhance communication, coordination and cooperation with Pakistan on counter-terrorism. 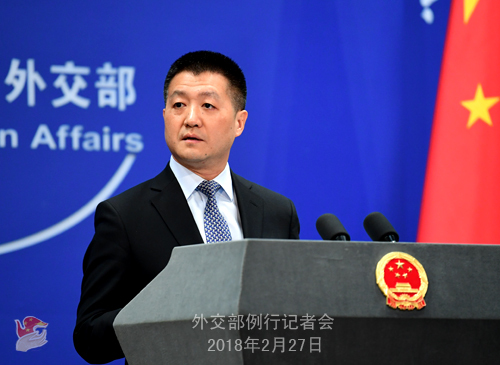 Q: Reports say that China has not opted to bail out Pakistan in the recent Financial Action Task Force meeting, resulting in a kind of situation where Pakistan has to face sanctions. Can you comment on this? A: I just talked about China's take on Pakistan's efforts and contributions on international counter-terrorism, so I won't repeat it. As I specifically pointed out, the efforts and contributions made by Pakistan can also be seen in the field of fighting terrorism financing. In recent years, Pakistan has made important progress in actively strengthening financial regulations to combat terror financing. 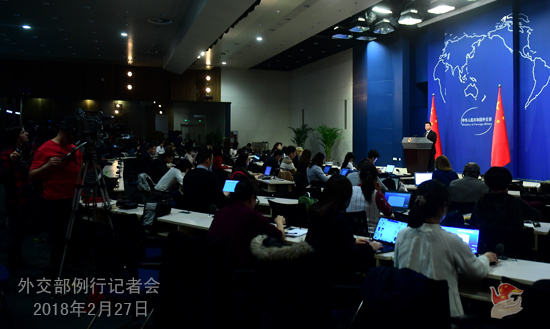 China highly recognizes that and hopes all relevant parties of the international community could arrive at an objective and fair conclusion on that.